These "Tear Drop" design high-flow banjo bolts from TamerX will allow for maximum fuel flow to the diesel fuel injectors for Ford Power Stroke 6.0L and 6.4L diesel engines. The original banjo bolts on the Ford 6.0L and 6.4L Power Stroke Diesels have a check valve that is redundant. The fuel pressure regulator acts as the check valve. The OEM Banjo bolts cause a restriction in the supply of fuel to the engine. Replacing the original banjo bolts with our updated SK613 bolt kit will improve performance in your engine considerably. The package contains two (2) upgraded banjo bolts with copper seals. This is a HFCM drain valve for a Ford Powerstroke 6.0 Diesel. This fitting allows you to easily drain the HFCM (Horizontal Fuel Conditioning Module) of all water. Ford recommends draining the HFCM on a monthly basis. If you are using the OEM fuel filter, it has a special water block media rap that collects the water as it passes through the system. Once the filter is full, it can no longer trap the water which allows water to start damping your fuel system, especially your very expensive diesel injectors. This plug is machined from solid brass to eliminate any possibility of corrosion. This is a new OEM Cummins diesel injection pump for a Cummins ISX 15 engine. This is a factory remanufactured Diesel Acumilator for a Cummins ISC engine. This is the CAPS System designed by cummins. This is a factory remanufactured Diesel ICV for a Cummins ISC engine. This is the CAPS System designed by Cummins. This part includes installation gaskets and hardware. 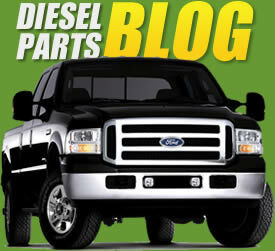 It is backed by TamerX Diesel's one year replacement warranty. This is a factory remanufactured Diesel Injection pump for a Cummins ISC engine. This is the CAPS System designed by cummins. CPL Numbers this part number was installed on.